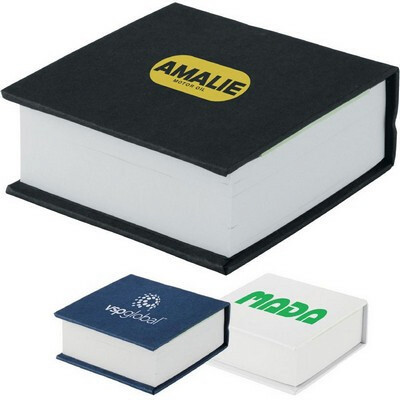 Description: Hard cover notepad with sticky flags. Includes 100 blank white notepad pages and 5 assorted-color sticky flags (25 pages per color). Recyclable. Non-refillable.. Price includes : Decorated. Setup is included.